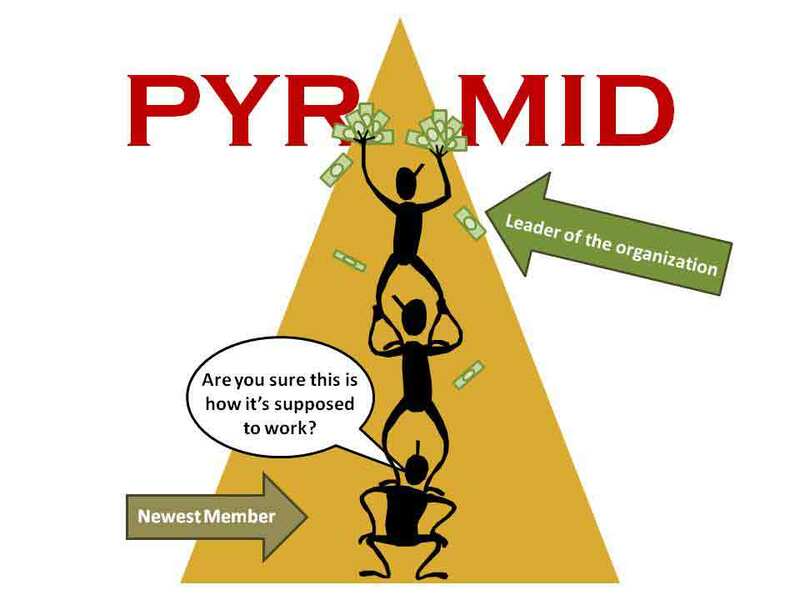 Pyramid schemes come in many guises, but they have one thing in common – they always fail. That is why I was dismayed by the comments on a recent article on that seemed sympathetic to a doomed cause. I will debunk pyramid schemes with high school maths – anyone who took or is taking school mathematics can easily follow. In a Ponzi scheme, there are two kinds of people,the first are those who do not know what they are getting into and the second are those who do, but hope to earn enough before the house of cards crashes down. This article will hopefully help those that are in the first group, and remind those in the second group that their gamble is unlikely to pay off. According to Indian legend, there was once a king who was a chess enthusiast who one day encountered a travelling sage. While encouraging the sage to play him, the king offered the sage to name any reward he would want, should he manage beat the king. The sage won, and had a modest request: he wanted rice, and the amount of rice would be guided by a simple rule: one grain would be placed on the first square of the chess board, and doubled on the next square and so on until the chessboard was filled (1 grain on first square, then 2, then 4, then 8, then 16,and so on). The king demanded a sack of rice to be brought to fulfil this request, but soon realised that a single sack would not be enough! At this point, I ask that you to stop reading and guess the amount of rice (number of grains) that would be required in total to reward the sage. Answer: the chessboard has 64 squares, and the king would need a total of 18 446 744 073 709 551 615 (18 quintillion) grains, with half of those on the 64th square alone. This is equivalent to 210 billion tonnes of rice – far more than the king could ever have – the world only produces 678 million tonnes per year…and that is how Paal Paysam (a rice and milk pudding) came to be. The rice legend above is an example of exponents – a topic taught at O’Level mathematics where you raise a number to a given power. If I were to describe exponential functions, I would say they are stuff that grows really fast – due to the fact that the larger the value gets, the faster it grows. Doubling 1 gets you 2 (not much of a difference), but doubling 9 quintillion gets you 18 quintillion, which is a huge difference. As you can see from the table above, if Ahab has setup his scheme in a country with roughly 14 million people, the pyramid scheme will run out of people to recruit sometime between week 23 and 24 because every single citizen will be a member by then, and the pyramid will promptly collapse. Another way to look at the table is to see how quickly Ahab and other low-level members will amass wealth due to the exponential growth of their ‘downlines’, which is why despite being illegal, the get-rich-quick scheme remains alluring. This is just an example, in real life, members are likely to recruit more than 2 ‘downlines’ (which results in the pyramid collapsing in fewer levels as recruitment happens faster), and the average recruitment being longer than a week (meaning the scheme will remain active for longer than 24 weeks). The maths is rather complex when you consider schemes like MMM where one individual can enter many times and then the reward for recruitment is restricted to % of money brought……life span here is longer. But either way….its a doomed affair. Had to copy and paste my MMM 2cents here. Nothing lasts forever but for now to survive we gotta blend with those algorithms. you failed to answer the most important question, where does the interest come from? This whole terminology that you focused on does not change the fact that it is a pyramid scheme that takes from Peter and John to pay Mark and hope that Peter and John will recruit others so that they too can be paid. Its doom comes when payments exceed recruitment and that is a pyramid scheme in short. you are very naive to believe that Sergei Mavrodi does not benefit anything from this scheme. He is actually the biggest benefactor. If l had time l would explain how he does it but in the meantime do your own research and you will learn. Ok, in short, its a risk worth taking. Its up to you, everyone understands the risks involved and that jargon is making it legal. Just like sports betting. Shame on you whoever is thinking its a securee investment platform. In a Ponzi scheme, there are two kinds of people,the first are those who do not know what they are getting into and the second are those who do, but hope to earn enough before the house of cards crashes down….very true! I got myself involved with this thing and I knew prior that this doesn’t work….and still lost money. What happened to Century Bank? Trust Bank? Mabasa evanhu vasina, time yekuswero ita zvese izvi kurakidza kushaya money chasing skills. Anyway mupfanha nothing is certain in life thats why they say fortune favors the brave, the brave go in knowing they can make it or crush same with a bank, that CABS is here today is no guarantee they will be there tomorrow. So says the same RBZ forgot to issue out a warning before the fall of the zomdollar or the collapse of the several banks and has refused to reimburse us the equivalent of the monies that were in our bank accounts before February 2009. You must all not forget that we are all slaves of the present world capitalist system in which the banking system is used to keep everyone oppressed, no wonder in 2008 when the banking system almost collapsed, western govts rushed to bail out banks and. They have managed to mentally colonize us to think that our life revolves around working our asses out all month long and having to have a bank account from which they charge insane amounts of interest. Then they take that pool of our hard earned money and give out to those of us with pressing financial needs and give us as loans at interest. At the Apex are big banks and those who control them. Defending this evil and corrupt banking system makes you no different to the proverbial “uncle tom”. Agreed that the pyramid schemes are not safe but as long as everyone understand the risks involved (which are in the terms before registering one’s account) then I see nothing wrong in providing help and requesting help from fellow citizens, think of it as a round table contribution (rhaundi/stokvel). It’s also no different to sports betting. And until a better, fairer and more secure financial system is put in place then we will take our chances with these pyramid schemes hoping they do not crush on us before we request help i.e. take out our monies (and in any case many will only loose the ‘interest’ because their principal donations will have been returned already- tough luck for the newbies who will lose out just like I lost out my monies when the zimdollar collapsed or when one of those banks folded), hence we only put out just as we do every day with sport betting. it’s not a Ponzi scheme please people do some little research and educate yourselves on the differences between PONZI schemes and Pyramid schemes, MMM IS A PYRAMID SCHEME, that no one disputes, the dispute is on whether this pyramid scheme or pyramid schemes in general are bad or good, and the simple answer to that according to my personal opinion is that YES its good. Everyone knows the risks involved just as sports betting is good because you know you could lose your stake if your team(s) loses the match or you could win big if your team(s) wins, so it is entirely up to the individual. I could ask the same question, is going to church and paying tithes, offerings, partnership contributions, missing out on parties and gigs and not to mention having to stop sleeping with your boy/girlfriend before marriage so as to receive blessings and make heaven good or bad? The answer again is that it is entirely up to the individual, so please do not judge, what is wrong on the other hand are PONZI SCHEMES whereby someone takes people’s monies on promise of investing it on their behalf in stocks but fails to do so and instead converts it for personal use. The sham investment entity starts to live off new investors to pay off initial investors and comes crushing down after an audit by the authorities or if the new investors contributions fail to pay off interest to the old investors. Green World, Angels and Aloe Vera are other examples of pyramid schemes currently in Zimbabwe. yeah with tht i agree, and there are a myriad or these schemes and scams with different expiry periods just like anything on this planet. for now i think MMM is still far from obsolete and as long as you people stop jumping to conclusions and causing unnecessary panic, it will survive for more days or even years to come. u don’t understand it fully? stop saying anything about it till you also get in the know of what it truly is rather than equating it to whatever funny name crosses yo mind…for certainly it ain’t a pyramid, neither is there any ”ponziness” in it. no one is duped into thinking their money is being invested anywhere.!! a christian should not involve in anything designed to rob peter to pay paul.MMM will collapse at last deceitfully enriching paul to the doom of peter.its ungodly way of getting wealth. This was really helpful…great explanation clear and concise.